When Trader Joe's slaps their logo on a jar with the word "butter" on it, we know they mean business. I'm thinking Cookie Butter, Crunchy Cookie Butter, Cookie Butter and Cocoa Swirl, and even Pumpkin Butter. Of course when they did just plain old Peanut Butter, they had to "TJ it up" a bit and add flaxseeds, but it worked out just fine that way. Most of the time, those buttery products score very high, and they become some of the most read, most liked, and most shared posts from this blog. So it behooves us to review the heck out of TJ's "butter" products. We hope it benefits you too. If you like the taste of sunflower seeds, you'll like the taste of this. After all, sunflower seeds are the main ingredient. It's a pleasant, mild, slightly earthy, nutty, smooth kind of flavor. However, I think this product is just a bit sweeter than plain old sunflower seeds, and that's probably due to the cane syrup. In fact, I don't think I would have minded if it were just a tad less sweet. I like my nut butter salty, not sugary. Although, this is seed butter, not nut butter. But I digress. As for this product's texture, it's a bit thinner and more oily than peanut butter. 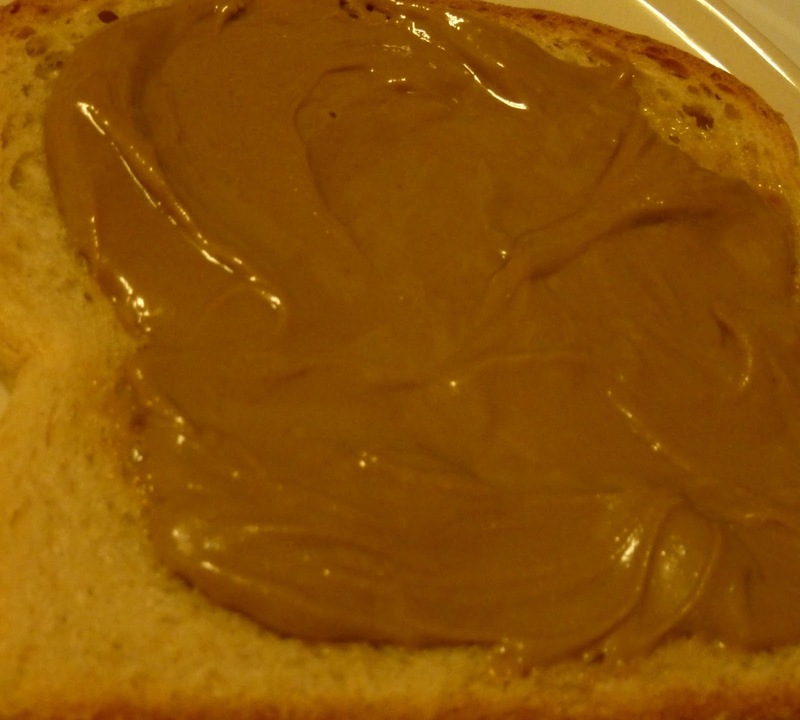 It's thin enough that you can spoon it out of the jar instead of knifing it out, but it's not so thin that it will run right off of your bread once you spread it on: see pic below. I only tried one small bite with jelly, as in an SSB&J sandwich. I wasn't a fan. I'll stick to PB&J's for now, although their sunflowery counterparts might grow on me if I keep trying different combinations of breads and jelly flavors with the sunflower seed butter. But I doubt it. Sonia liked this product too, but she agrees that it probably won't replace peanut butter in our household. It's a nice, unique treat to have just once in a while to break up the monotony. But hey, if you've got peanut allergies, or if you're one of those rare weirdos that doesn't like peanut butter, give sunflower seed butter a try. This $4.99 jar is actually really darn good. Just hope you're cool with a quarter of your daily fat in each serving. Look on the bright side: it's high in fiber, too! I give this product 4.5 stars. Sonia gives it 4. Thanks Guys! I have wondered about this ! I wanted to thank you for doing the blog. It's always the highlight of the day to see a new post! You have led me well in new things to try. Thanks for all you do! You're welcome! Thanks for the kind words and encouragement, Elizabeth! So glad you find the blog helpful. I sit undecided with this. I can't quite decide if it's disgusting, delicious or just unusual. Lol. I can't even pair it with anything to taste good but it's fine by itself. Our sweet lil' toddler, who may or may not be allergic to nuts (jury's still out) loves this, so that's a redeeming quality. I tried once and ran back to my usual PB. So that would be...5 stars from Baby M? And maybe 2.5 or 3 from you, Russ...? M gives it a 4.5 - would be higher but she HATES getting her face cleaned afterwards. I go with a 2. Hmmm...what is this "celery" you speak of? If you're fan of eating peanut butter and baby carrots, try this with baby carrots! Because they are both slightly sweet, it complements the flavors really well. My roommates went crazy over this combination! Thanks for the recommendation, oliviaa! I'm addicted to this stuff and is completely replaced PB for me! I love to toast TJ's cinnamon raisin English muffins and spread some sunflower butter on them! Best breakfast ever! I'll have to look for the cinnamon raisin English muffins on my next TJs run! I'm allergic to peanuts and almonds (developed within the past couple of years), so seed butter is my saviour. I ADORE peanut butter, and it isn't the same, but I don't have a choice. I almost picked this up at TJs the last time I was there because it's half the price of the fancy one I buy at Whole Foods, however I put it back when I realized it has added sugar-I'd rather get the all natural version that's just 100% sunflower seeds. I totally agree with you. 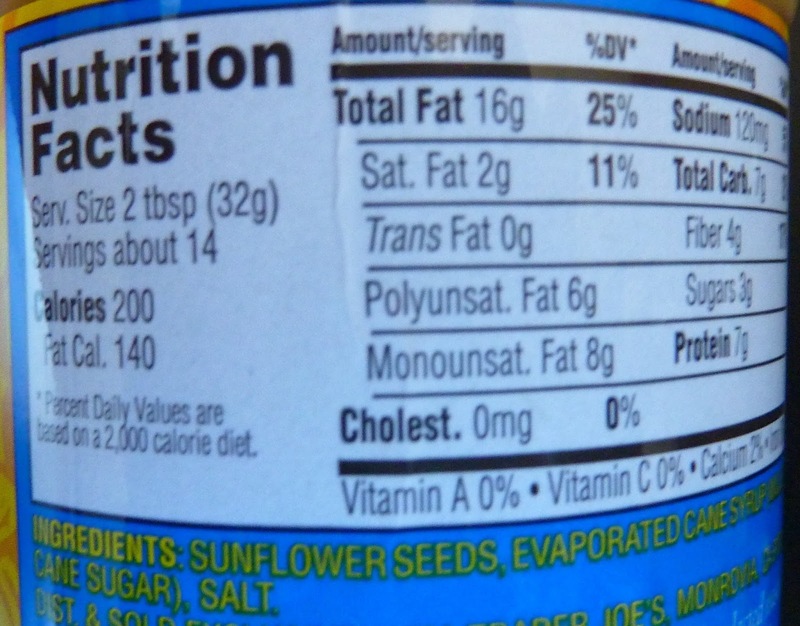 I've never seen SSB with no sugar added. I'll have to check out WF. "I think this product is just a bit sweeter than plain old sunflower seeds, and that's probably due to the cane syrup. In fact, I don't think I would have minded if it were just a tad less sweet. I like my nut butter salty, not sugary." This has become a staple in my son's lunchbox due to a classmate with a severe nut allergy. His sandwich container comes back empty everyday so I guess he likes it lol. I just hate that food industry, no matter who they are, feel they have to add sugar of some sort to the products. I know the sugar count is low, but still added sugars! Totally, Sara. And I have a sweet tooth. But there are plenty of foods that really don't need the sugar like you're saying, and I think this is one of them. 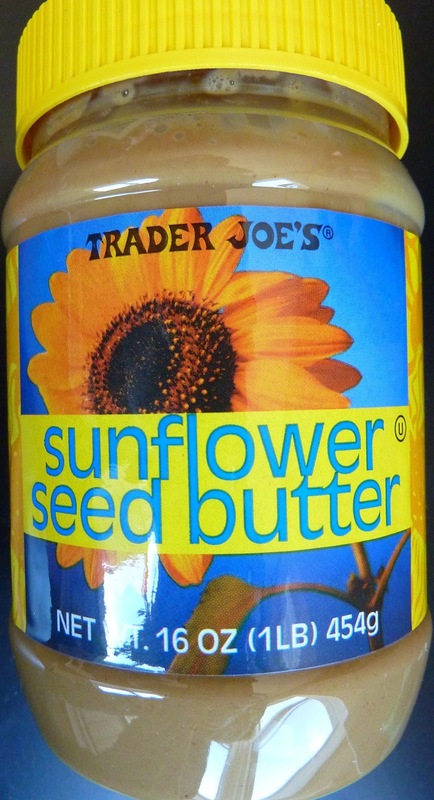 I am not a fan of sunflower seeds by any means...but this sunflower seed butter is amazing. I especially love the new unsweetened version as it is more hearty than the sweetened version. Definitely does not need the added sugar!